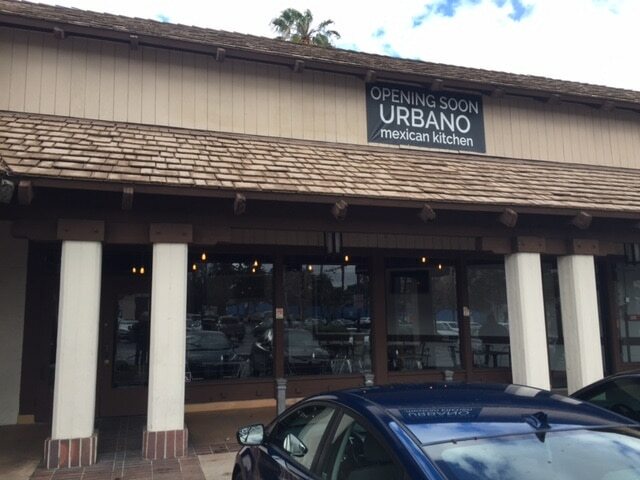 Urbano Mexican Kitchen in the previous location of Big Daddy’s has changed the configuration of the location. 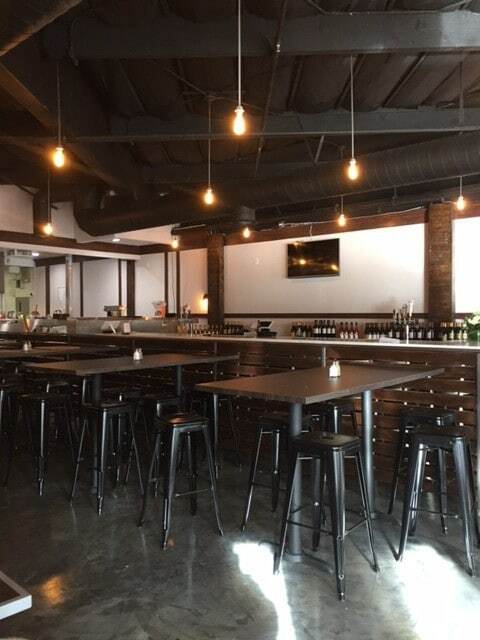 You can see some pictures of the new dining area and bar area. In the Vons shopping center at California across the street from Huntington Hospital is getting close to opening. 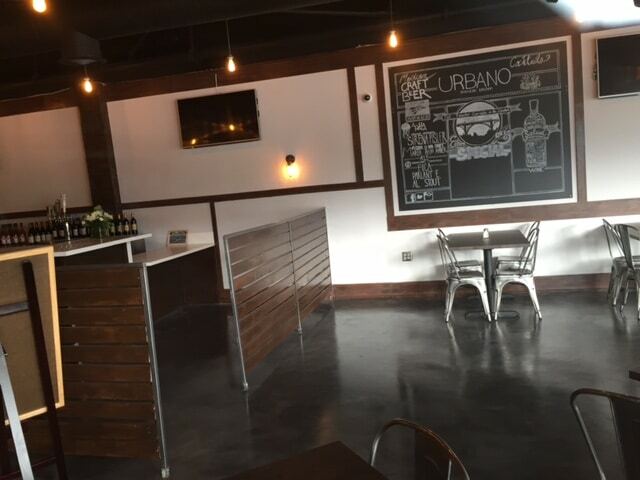 We understand from those in the area that Urbano had a soft opening of sorts on Saturday 1/30/16 for a few hours to work things out. There’s no official word on the opening, but there are some menus in the works and the offerings look good. There’s beer and wine available at this location. Link to www.CandymanReturns.com and send this out to all your friends to help us get there. So for example, that means you get a pound of Double Buzz Jelly Beans for the $20 reward. CANDYMAN tells the amazing true story of David Klein who came up with the concept of Jelly Belly jellybeans. In 1976 David Klein(The Candyman) invented the Jelly Belly. Watch his documentary and hear his story. Please help with his comeback. Build your own Noya, bowls. Located in what was previously d’odici on Colorado Blvd. 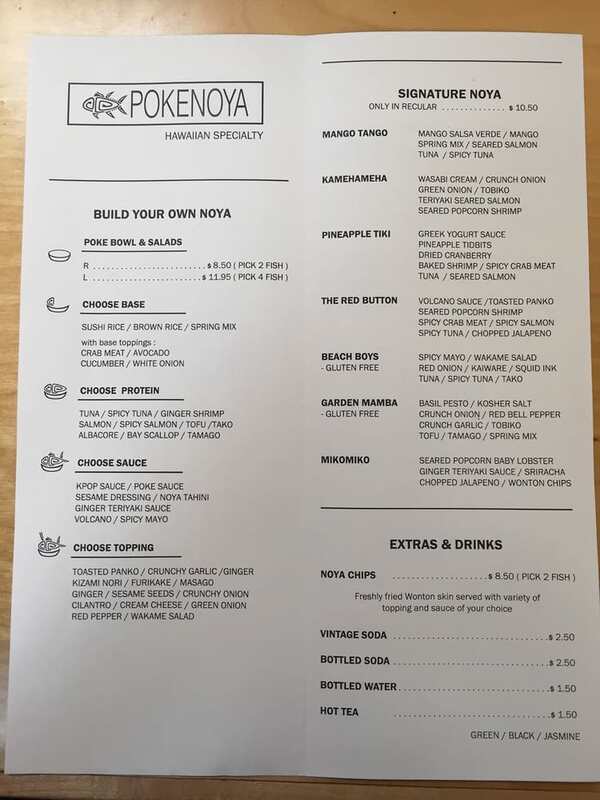 Pasadena now has several restaurant for Poke. Which ones are the best? Which one do you prefer? There is one not too far from Pokenoya on Lake which has been very popular, PokeMix by Flour+Tea. Jan 29, 30, and 31 at the Pasadena Convention Center. As if Nissan didn’t already have enough problems, they are now faced with a recall of 930,000 vehicles for a defective hood latch. The defect could result in the hood unexpectedly opening while driving! Making it third time Nissan has had a recall to fix this issue and it still not fixed! So what does this say about Nissan, well if you purchased a Nissan LEAF in 2011 or 2012, and are experiencing battery capacity loss and Nissan refuses to do anything until the loss of the 9th bar, but within the 60,000 miles and 5 year period. Epic Taco Shop is located in North Glendale on Verdugo Rd, almost in Montrose. Tesla Motors is making the headlines with the upcoming release of the the Tesla Model 3. Priced at $35,000 before federal incentives. There have been images of the design online, in about a month we should see what it will look like. This tweet post claims to have captured the Model 3. What it really looks like will be revealed in March. Stay tuned for the date and time. It should be streamed live. Tesla opened a sales and service center in Burbank this past October. Tesla has sold approx 100,000 Model S vehicles. EV chargers are key to the success of EV adoption. With longer range and quicker charge times the demand for long periods of charging will go down, but as adoption grows more EV’s will mean that more EV chargers will be needed. 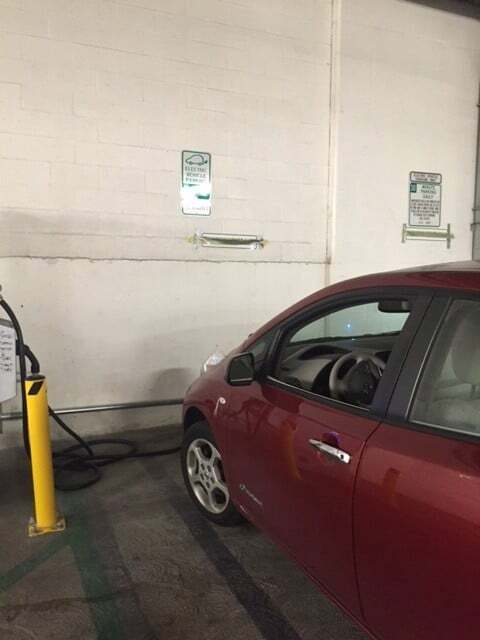 We are seeing another spike in cities where chargers are being installed. Burbank has roadside chargers. PASADENA, Calif.—Celebrate Black History Month 2016 by attending the parade and other special events, lectures and activities in Pasadena beginning Saturday, Feb. 6, through Sunday, March 20, 2016. Pasadena’s Black History Month Parade is one of the largest and oldest in the U.S. Pasadena Media, www.pasadenamedia.tv, will record the parade in its entirety for broadcast on KPAS, the City’s government TV station. The schedule of events is listed below and also online at www.cityofpasadena.net/PasadenaBlackHistory. All events are free unless otherwise noted. “The Wellness in You: Living a Happier Healthier Life” Attend an informational seminar about living life at your healthiest, 9 a.m., Jackie Robinson Community Center, 1020 N. Fair Oaks Ave.
“Pasadena African-American Genealogy Group” Search out your heritage and recover the past with this dynamic genealogy group, 2:30 p.m., Lamanda Park Branch Library, 140 S. Altadena Dr.
“I Am My Brother’s Keeper: Together, We Will Rise!” Attend a panel discussion on topics that include physical, spiritual, mental and financial health, and enter to win raffle prizes, 10 a.m., First A.M.E. Zion Church, 1087 N. Raymond Ave.
“Conversation with Peter J. Harris & Pam Ward” Enjoy readings and conversation with local literary luminaries Peter J. Harris and Pam Ward, 2 p.m. at Allendale Branch Library, 1130 S. Marengo Ave.
“Youth Open Mic and Film Festival” Experience an evening of enlightenment through poetry, spoken word, song, rap and film starting at 6 p.m. at the Alkebu-Ian Cultural Center, 1435 E. Raymond Ave.
“Black Film Showcase” Watch “Half of a Yellow Sun,” a romance drama inspired by the Nigerian civil war, 3 p.m. at the Jackie Robinson Community Center, 1020 N. Fair Oaks Ave. Sponsored by the Delta Sigma Theta Sorority, Pasadena Alumnae Chapter. “Marcus Miller’s African Rhythms” Explore the world of drums and drumming with musician and educator Marcus Miller, 1 p.m., La Pintoresca Branch Library, 1355 N. Raymond Ave.
“Yanga: Exploring Mexico’s African Roots” Discover Mexico’s African heritage, through a slideshow, codices, paintings, photographs and live music, 7 p.m., Central Library/Donald Wright Auditorium, 285 E. Walnut Ave. Presented by Dr. Gloria Arjona, Spanish language and literature professor, Caltech. “34th Annual Black History Parade and Festival” Begins at 10 a.m. at Charles White Park in Altadena, heads south on Fair Oaks Avenue and ends at Robinson Park, 1081 N. Fair Oaks Ave. After the parade, enjoy the Black History Festival on Hammond Street and the north side of Robinson Park from 12-4 p.m. Food for purchase, fun activities for kids, displays, music and other free fun. “Travelling Shoes” Celebrate Black History Month with amazing stories of African-American heroes who had to put on their “travelling shoes” to make the long journey to freedom beginning at 3:30 p.m. at La Pintoresca Branch Library, 1355 N. Raymond Ave. For tweens and above. “NOBLE Black History Breakfast” with the Pasadena Police and Fire departments and the San Gabriel Valley Chapter, National Organization of Black Law Enforcement Executives (NOBLE), 8-10 a.m. at the Pasadena Senior Center, 85 E. Holly St. Call (626) 744-4547 or (626) 744-7054 for info. “Chocolate Story Time” Enjoy storytelling and village building, featuring stories authored by and/or about African-Americans followed by a chocolate treat! Led by Dr. Ayesha Randall, the event starts at 4 p.m. at La Pintoresca Branch Library, 1355 N. Raymond Ave. For ages 3+. “Senior Night Out” Enjoy great food, conversation and upbeat fun at the Pasadena City College Community Education Center, 3035 E. Foothill Blvd., from 7-10 p.m.
“Praise Dance & Song Jubilee” Enjoy music, dance and fellowship, 3 p.m., Metropolitan Baptist Church, 2283 N. Fair Oaks Ave.
“Celebrating Women” Celebrate women’s contributions to black history starting at 3 p.m. at the Jackie Robinson Community Center, 1020 N. Fair Oaks Ave.
“Celebration of Music” Enjoy music and celebrate its contributions to African-American history, 3 p.m., Calvary C.M.E Church, 135 Glorieta St.
A Head Full of Dreams tour opens July 16 at New York’s Met Life Stadium and will reach the Rose Bowl in Pasadena on Aug. 20, 2016. First world tour in five years. January 28, 2016 – Today, Coldplay announced the first U.S. shows of this year’s A Head Full Of Dreams Tour. This is the band’s first world tour since the 2011/12 Mylo Xyloto Tour, which was seen by more than three million people on five continents. The Live Nation produced tour kicks off on Saturday, July 16 at New York City’s MetLife Stadium. The complete list of shows is below. Citi is the official credit card of the A Head Full of Dreams North American Tour. Citi cardmembers will have access to presale tickets beginning Friday, January 29, at 10 AM through Citi’s Private Pass Program. For complete presale details visit www.citiprivatepass.com. General tickets will be available beginning Friday, February 5, at 10 AM local time at www.livenation.com. A Head Full Of Dreams is Coldplay’s seventh album and the follow-up to 2014’s GRAMMY®-nominated Ghost Stories. Since its December 2015 release, A Head Full Of Dreams has reached Number One on iTunes in more than 90 countries and sold over three million copies. It has also helped Coldplay to their current position as Spotify’s most-streamed band in the world. Coldplay will headline the “Pepsi Super Bowl 50 Halftime Show” in Santa Clara, California on Sunday, February 7. On the January 31 episode of “CBS Sunday Morning,” Anthony Mason will interview Chris Martin about the band’s preparations for this prestigious event. It has also been announced that Martin will be the next passenger in James Corden’s car in a road-trip themed installment of “Carpool Karaoke” from CBS’ “The Late Late Show with James Corden,” which will air the week of February 1. Ticket presales begin Friday for CitiCard holders through the company’s Private Pass Program. General ticket sales begin Feb. 5 at Live Nation’s website. Easily one of the biggest, most exciting days of our Winter Meet, Sunshine Millions California Cup is one-part showcase of the best Cal-Bred Thoroughbreds, and one-part celebration in the fashion that only Santa Anita Park can deliver. Come be a part of the Sunshine Millions Wine Festival and let The Great Race Place show you a bevy of wine and food offerings to compliment an amazing card of racing. It’s a party in the heart of the San Gabriel Valley, and we can’t wait to have you. Forget wine and roses — wine and horses is a much more exciting combo, and you’ll find them together at Santa Anita Park’s Sunshine Millions California Cup event. Catch a full day of California and Cal-bred thoroughbred racing, as well as a wine festival featuring the best varietal and food pairings the Golden State has to offer. General Admission includes admission to the club house, a daily racing program, a commemorative acrylic wine glass and 12 2-ounce tastings, while the VIP ticket adds on food samples, a T-shirt, fast-track pass, a $10 food truck voucher and more. Buy Tickets at discount for general admission for $25 on Goldstar. EMERYVILLE, Calif.–(BUSINESS WIRE)–Jamba, Inc. (NASDAQ:JMBA) a leading health and wellness brand and leading retailer of freshly squeezed juice announced today its plans to offer consumers in Pasadena a truly different retail experience with the pending launch of a state-of-the-art Jamba Juice concept store. The store will be unlike any of the Company’s other 850+ retail outlets in that it will feature a sleek interactive bar area, a modern test kitchen, a spacious wifi-enabled seating area, and other innovative concepts. Set in the heart of the historic Old Town section of Pasadena, the Jamba Concept Store will serve as a learning lab in which Jamba will create and test new food and beverage concepts with the ability to obtain real-time feedback from the store’s customers. In addition to culinary exploration, the Concept Store will be used to pilot innovative solutions that will benefit Jamba stores across the system. The Jamba Concept Store will be located at 8798 64 East Colorado Boulevard, a high-traffic area in Pasadena’s historic Old Town district. The Grand Opening is set for late January, 2016. 50 different types of cancers. We have challenges with getting treatments to patients. #1 killer in 22 states. For more reading on this topic, click HERE. AT&T doesn’t advertise this very much, but you can use their online portal to block up to 20 numbers, this may help for some telemarketers solicitors and robo callers, but there are so many telemarketers using spoofing and other techniques that you would need the ability to block hundreds of callers. If you have AT&T try out the call blocking, by logging into the portal and entering a few of the last calls you want to block, and see how many calls still come in. The way AT&T implements this feature is a failure not only because you are limited to 20 numbers, but because of the way it works. With say your iPhone you receive a call and you want to block the caller, just select it from the recent calls and get details and at the bottom you have the option to block caller. These calls will go right to voice mail. Log in to myAT&T. Don’t have a myAT&T login? Register today! From Home Phone at the top of the page, and select Manage Features. From the Call Filtering section, click the arrow next to Call Blocking. Select On or Off to set up Call Blocking. In the Add Number field, enter up to 20 phone numbers you wish to block. Make sure to include area codes. After entering each number, select the Add button to the right. Once you’ve created your list of blocked numbers online, you can use your phone to turn on Call Blocking. There are devices which help. The Pasadena Police Department is seeking public comment from non-profits entities, community stakeholders and citizens to provide input for consideration in the development of a new policy for body worn cameras to be implemented by the Pasadena Police Department in late 2016. Input from community stakeholders may include the handling, storage, and retention length of video recordings, when body worn cameras should be activated or de-activated, viewing of recorded media files, public access to videos (Public Records Act), and privacy concerns. Public comments will be heard during a Special Public Safety Meeting on Tuesday, February 2, 2016 at 6:30 PM in the City Council Chamber, second floor City Hall, at 100 N. Garfield Avenue, Pasadena, CA. Please contact Lt. Tracey Ibarra at (626) 744-7875 if you have questions. An educational and networking conference for adults and children with type 1 diabetes (T1D), their families, and the clinical/school community to increase understanding, T1D knowledge, share best practices, and communicate with others in the field about the disease. This event is an all-day informational symposium with a Technology Panel, Living with Diabetes Panel and multiple breakout sessions for individuals, friends and family at all stages and ages of T1D. CHARGING AN EV IS FASTER THAN YOU THINK! 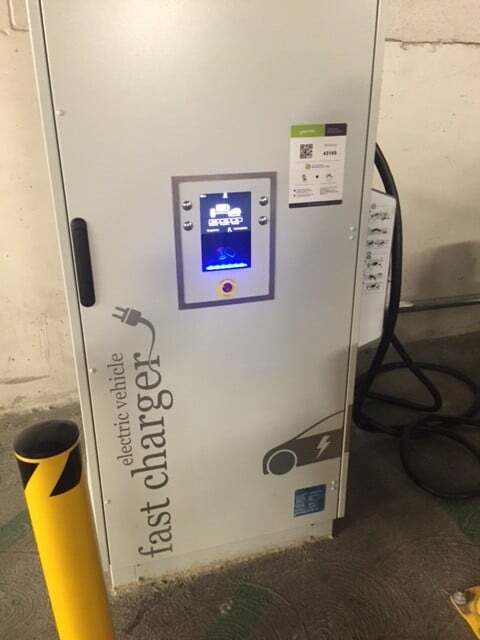 PWP recently installed a Direct Current Fast Charger for electric vehicles, also known as a Fast Charger, at the Del Mar Boulevard parking structure (260 S. Raymond Avenue), conveniently located next to the Del Mar Gold Line Metro Station. As the first Fast Charger in Pasadena, drivers can fully charge their electric vehicles in nearly 30 minutes and it’s absolutely free of charge! Traditional chargers generally take 3-6 hours but with the Fast Charger, a commuter can be back on the road in a matter of minutes. Most newer electric vehicles are equipped with the fast charging technology. 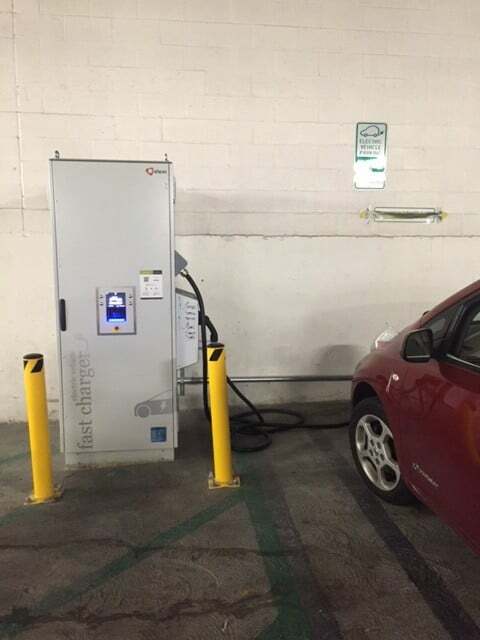 Installation of the Fast Charger was partially funded by a grant PWP received from the California Energy Commission. Word is that the free charging will be for one year. The position of the charger would be ideal to allow one car to charge and another car to wait. It could be a little awkward if more than two cars are waiting to charge. In some regards this is like a fueling station, but the flow of cars should be streamlined. The 30 min charging limit seems a little long and should be reduced to 15 minutes, especially if others are waiting to charge. 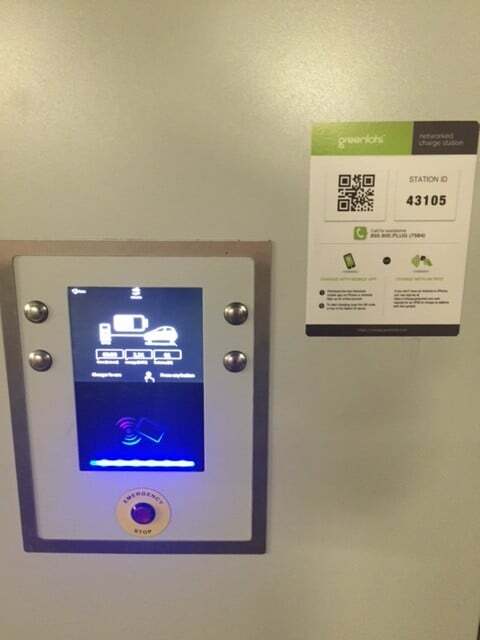 Perhaps a ticketing system which encourages sharing of the charger. 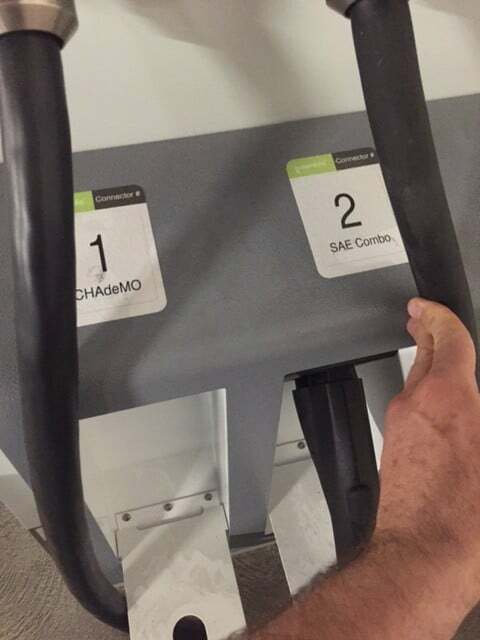 Two charger connectors are available at this station: CHAdeMO and SAE Combo. It will be interesting to see where this charger is and how the signage is setup for it. As fast chargers do not require much time, hopefully people will not come and start charging and leave. The other issue is that DC Fast Chargers seem to fail more frequently than Level 2 chargers so it will be interesting to see how often this charger is working or not. The other chargers in this parking structure are level 2 and they seem to be working for the most part. 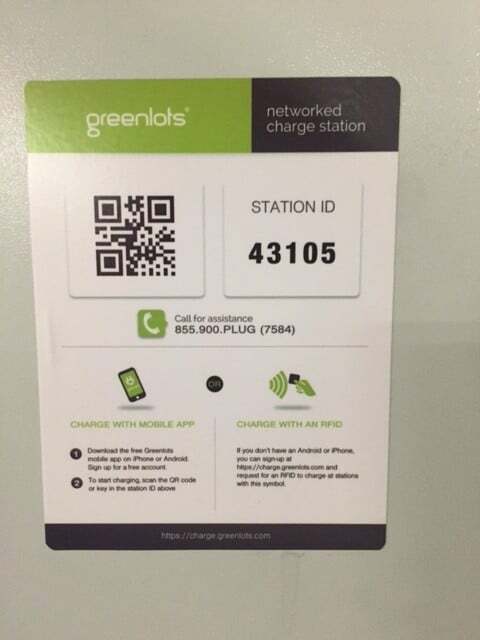 Also Whole Foods around the corner/tracks has several level 2 chargers available for free charging. Very please to see an EV DC fast charger in Pasadena. The signage could be better. I drove around the lot looking and asked the parking attendant who directed me. There where four EVs waiting to charge. At 30 minutes that is a long wait It would be great to see a 15 min limit. In addition better signage would be helpful for those waiting. The way it is now there are spaces for PPD and one EV. No other parking is available. Where do those waiting to charge park? Perhaps there should be 2-3 spaces there for EVS. There are two connectors on the charger and only one space? That doesn’t seem to make sense. Interesting that of the four EVs waiting to charge, three are Nissan LEAF’s. Basically either because of the poor range and battery capacity loss of the LEAF. On Thursday, January 28, the Skirball Cultural Center will present FOOD CHAINS, a documentary film followed by an insightful panel discussion. With more interest in the food industry these days than ever, this documentary directs our attention to the hands that pick it. Narrated by Forest Whitaker, the film focuses on an intrepid group of tomato pickers working to ensure a dignified life for farm workers and a more humane, transparent food chain. A panel discussion between director Sanjay Rawal, Joann Lo (co-director of the Food Chain Workers Alliance), and Jon Esformes (operating partner of Pacific Tomato Growers) follows the screening. *Arrive early to view the related exhibition! A Path Appears will remain open until 7:30 p.m.
Tickets at the door, or reserve in advance. LA Cookie Con and Sweets Show is the West Coast’s BIGGEST baking and pastry convention. For sweet tooths and sugar artists, this is pastry heaven! Early Bird tickets now onsale for our 2016 convention featuring Ron Ben-Israel, hundreds of sweet samples and unparalleled shopping for bakers/decorators! Grab Saturday General Admission and Sunday VIP while you still can! As seen on ABC, CBS, NBC, Tastemade, YouTube, LA Weekly, Daily News and more. There are a ton of vegan and vegan friendly exhibitors… especially if you like baking & decorating supplies and demos. It’s not the majority of our show but it is well represented. LA Cookie Con and Sweets Show is produced by AKT Entertainment, LLC. For media, exhibitor, and information inquiries, please use our contact form.